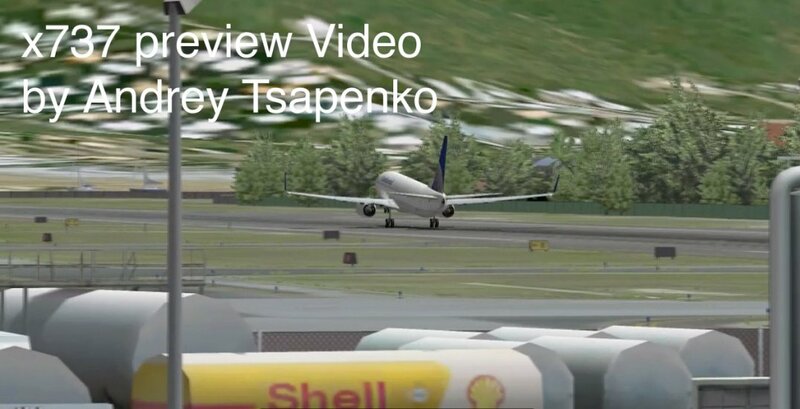 Andrey Tsapenko, well-known by the x737project community has produced a very high quality preview video presenting the new x737 version 4 aircraft which is going to be released in spring 2010. Turning on the speakers is not optional, lean back and enjoy this wonderful video. The mp4 video is available in 1280HD quality (123MB) and in as half-size video (28.8MB) for those who don't have a very fast internet connection. Download, lean back and enjoy! Many thanks to Andrey for this wonderful video. And don't forget to see Nout's early v4 preview video which was released 2 weeks ago.